Please spend a relaxing time in the healing Japanese space. 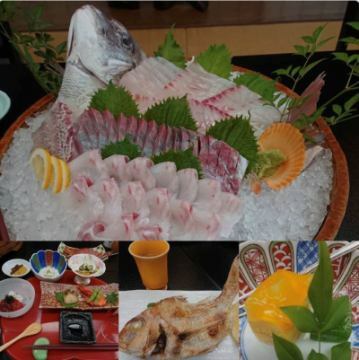 For fish lovers, Amakusa can not be removed. 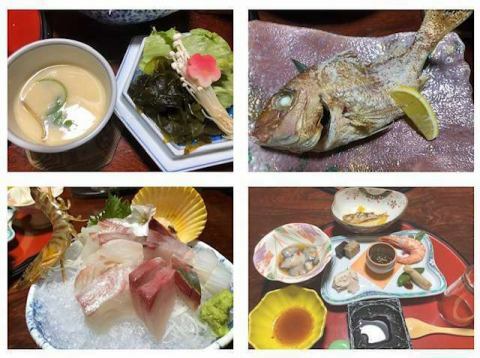 Please enjoy super sized seafood kaiseki cuisine. 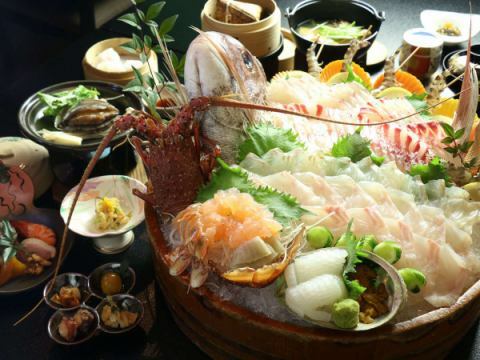 Dinner is a cuisine cuisine where you can enjoy Amakusa seafood. 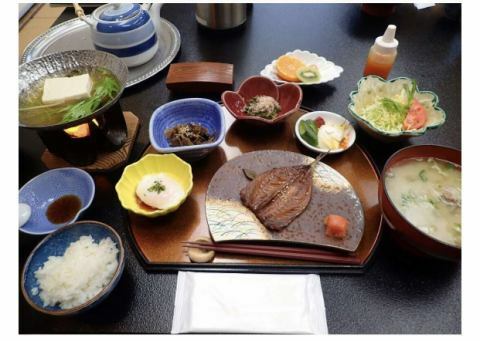 In the morning warm you up with miso soup where the soup of fish caught in Japanese breakfast. "I like fish but I can not eat much." How about a health plan such people? 2 items are reduced from basic plan, 10 items in total. Still, you can enjoy fish. 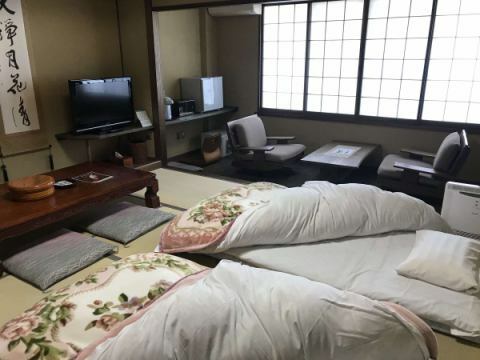 ※Rates vary depending on the number of adults per room. 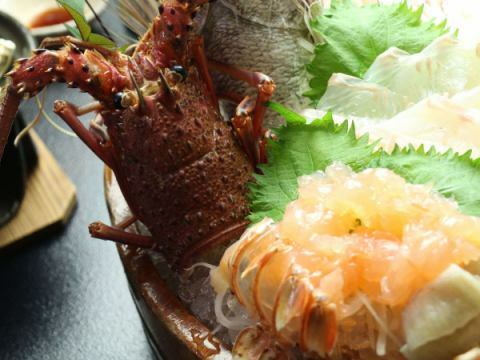 For those who say "I want to eat lobster with Ise shrimp because it's so hard"
I eat all of Ise shrimp. I can meet sashimi, fried food and morning miso soup next month. "I also like fish, I want to eat meat too!" It is a recommended plan for those who say. I have plenty of supper, so please come with a meal for lunch. For sightseeing and work mainly at late arrival, those who want to eat breakfast only at the inn are decided by this plan! "Don Puri Miso Soup" with plenty of fish soup is miso soup that stains in the body of this facility. Amakusa sightseeing, I recommend this plan to those who want to enter the Great cave bath! It takes about 2 hours to get to the vicinity of Sakitsu Church, which is registered as a World Cultural Heritage, by car. 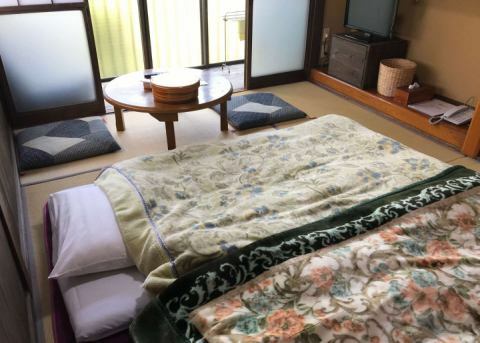 Showa Retro atmosphere drifts in 10 sq m of calming rooms. While listening to the sounds of the climbing sink hot springs, you can get to sleep.